Pecan-studded pumpkin bar batter is spread in an ungreased jelly roll pan. In medium bowl stir together flour, baking powder, cinnamon, baking soda, and salt; set aside. In a large mixing bowl beat together eggs, pumpkin, sugar, and oil. Add the flour mixture, beat til well combined. Stir in chopped pecans, if desired. 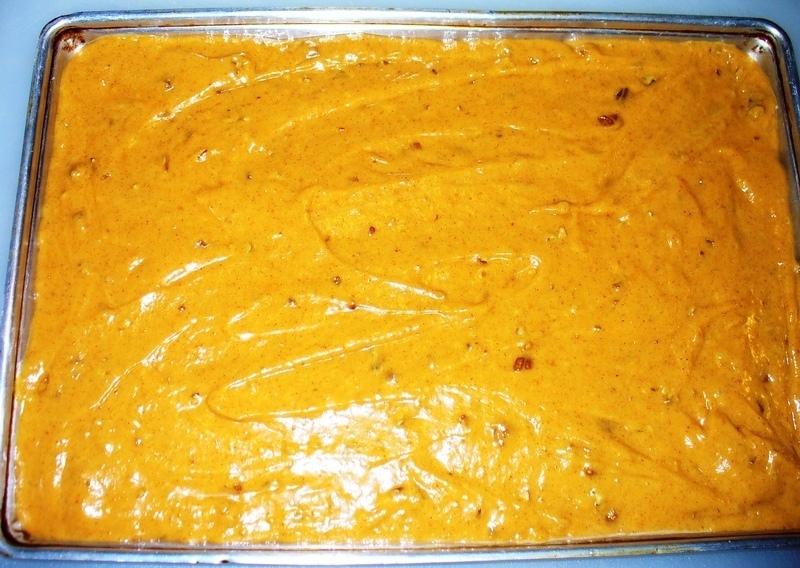 Spread batter in an ungreased 15x10x1 inch baking pan. In a medium bowl beat together cream cheese, butter, and vanilla until fluffy; gradually add powdered sugar and beat until smooth. 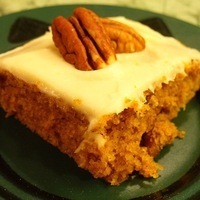 Frost bars with Cream Cheese Frosting and top with additional pecan halves (optional). Cut into 24 bars. Store in refrigerator. Awesome! Made this for a Supper Club gathering and everyone raved about it. 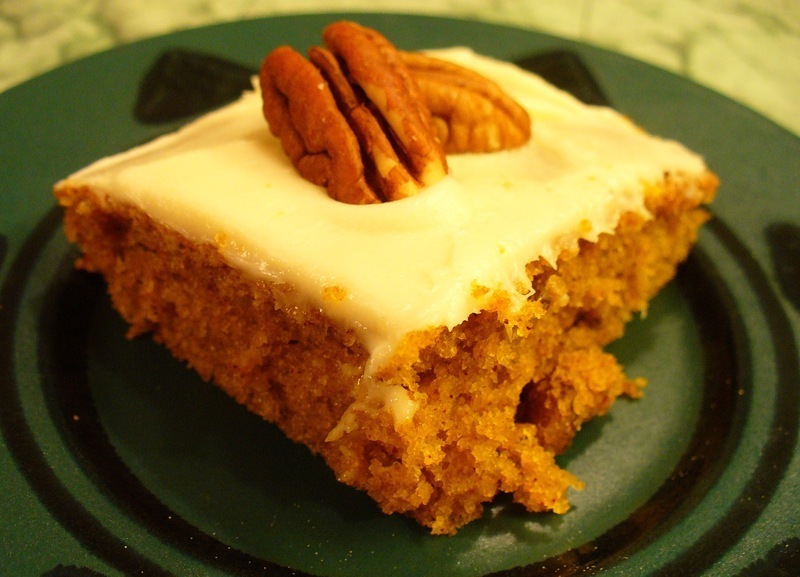 Since pecans cost more than a small house, I used walnuts in the cake and as a garnish and it worked out fine. The cream cheese icing was perfect for it. It was easy to prepare and clean up. Look forward to making this again! 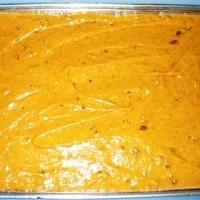 This Pumpkin recipe is the bomb! I made it for Thanksgiving & it was all gone in a matter of mins. I used already made cream cheese frosting from the grocery store. Delicious goodness all the way!!! Bon! ~ so glad you tried this out, that it was a hit, and also that you took the time to review and rate it. "Paul" would be proud! We can always use another pumpkin recipe. This one looks great. Peanut Butter Chocolate Chip Banana Muffins, Guest Duo Bakers and a Giveaway!